Last weekend, we took the kids to a concert performed by a local chamber orchestra. The star soloists of the evening were two college students — one violinist and one pianist. Watching these talented young musicians made me nostalgic for my long-lost days playing trumpet and French Horn. It’s hard to fathom now, but there was a long stretch of time when I was more likely to be on the stage than sitting in the audience. I loved being immersed in a beautiful piece of music, letting whatever I was feeling speak through my instrument. All of those years as a self-identified band geek left me with vivid memories. Though a diligent student, I was habitually nervous in performances, from my three-note French Horn solo in Vincent Persichetti’s hauntingly beautiful Pageant to the challenging Hummel Trumpet Concerto that our director assigned to me for the senior solo concert. I also remember the painful canker sores my lips endured as my mouth adjusted to braces. Still, there were fun, carefree times too. I loved playing improv trumpet solos in jazz band, and trading inside jokes with my section-mates during rehearsals. And in college, nothing could compare to the thrill of performing on the field during football games. It’s been years since I properly played my trumpet, and decades since I held a French Horn in my hands. 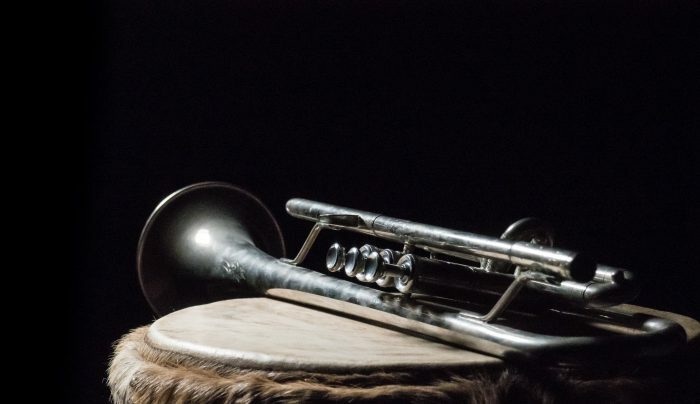 Though I’ve retained some musical literacy — I know the difference between a Treble Clef and Bass Clef and I can still recognize terms like Moderato and Allegro, for example — if I tried to play my trumpet right now, I’d likely have the neighborhood dogs howling. Maybe I have a more nuanced appreciation of a concert than someone who never studied music in school, but that doesn’t feel like enough. Music was once a big part of my life. Now, at times, it feels like a foreign language. And it’s when I witness something special, like the promising young soloists at the concert, that this piece of my heart tugs at me, telling me not to forget. Is everything I learned — through all those hours of practice, sweat, and nerves — is all of that just gone now? I may no longer play, but I’ll always be proud to call “band geek” part of my identity. ← What’s With All the Snow Days?